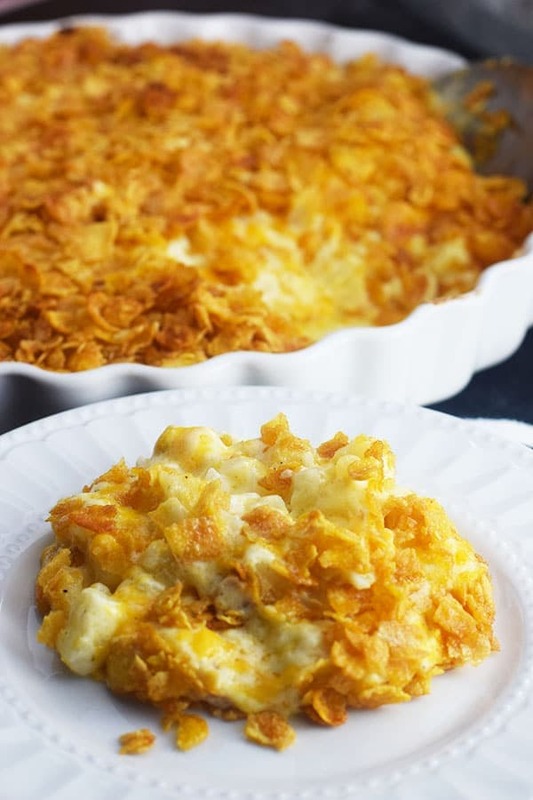 Irresistible buttery creamy goodness is what Cheesy Potato Casserole is all about! Packed full of cheese, potatoes, and so much yumminess you will be spooning out another helping for sure. This is my daughter Bri’s favorite side dish in the world! She is away at college and was home for spring break, so this HAD TO BE on the table! Along with Chicken Poppy Seed Casserole (her other favorite), which together in one meal is just entirely too much creamy (NAW – there is no such thing ;)! But hey she gets what she wants when she comes home. 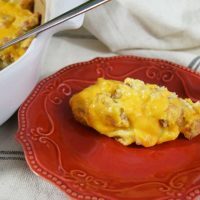 At our house they aren’t called Cheesy Potatoes or Funeral Potatoes – They are BRI’S POTATOES! You may notice my lack of “fine tuned photos”, but for good reason. I was allotted about 2 minutes to grab a picture. I was being heckled from the other room by 5 hungry teenagers. 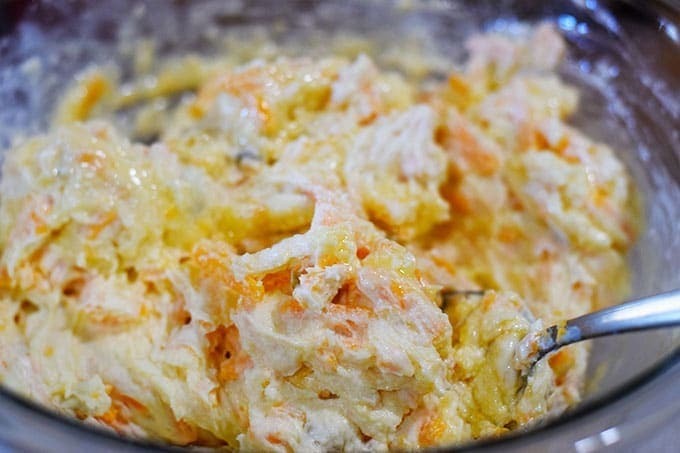 This recipe, in one version or another, is out there a plenty on the web, but my daughter insisted it had to be on my blog! And I totally agree it is such a tasty one. It’s the perfect side for most any gathering you can think of! It feeds plenty and it’s gobbled up in a flash! Step 1 . Preheat oven to 350 degrees. Step 2 . 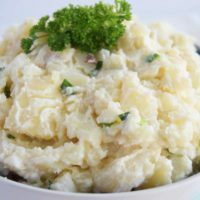 In a large bowl combine sour cream, soup, butter, salt, cheese, and hash brown potatoes. Step 3. In another bowl crush corn flakes and mix with melted butter. I just crush them by hand lightly. Step 4. Pour potato mixture into 9 x 13 baking dish. 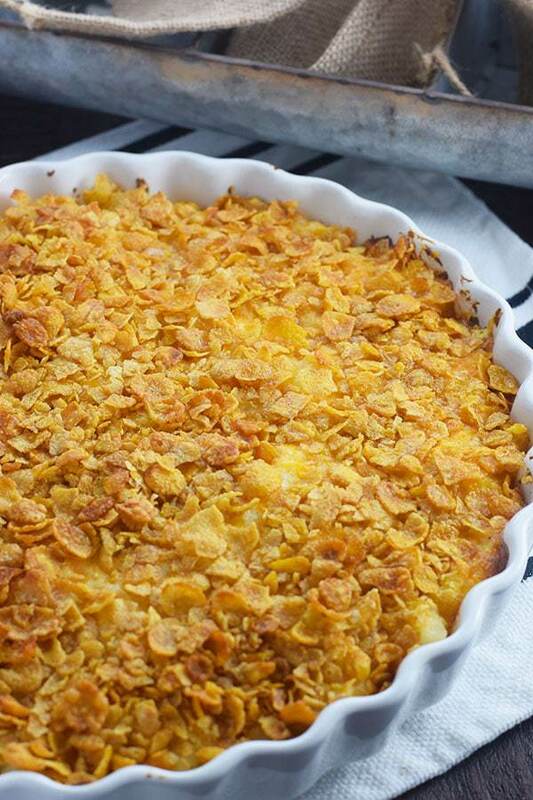 Top with buttered corn flakes. Step 5. Bake for 30 to 45 minutes until bubbly and topping is golden brown. I sure y’all enjoy this as much as my Bri does! I have to admin the whole bunch of us love it! How can you resist cheesy potatoes?? I really enjoy getting to know you all and this is the perfect place to connect! Come on over and join us on social media! Love Southern Inspired Recipes get them delivered right into your mailbox! 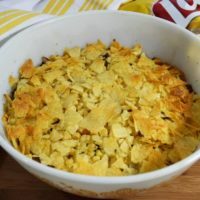 Please Pin – Cheesy Potato Casserole – for later! 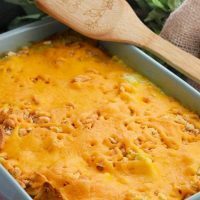 Irresistible buttery creamy goodness is what Cheesy Potato Casserole is all about! Pack full of cheese, potatoes, and so much yumminess you will be spooning out another helping for sure. 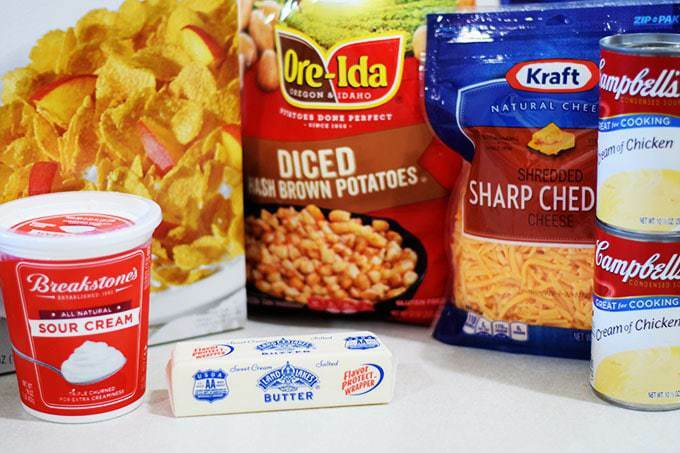 In a large bowl combine sour cream, soup, butter, salt, cheese, and hash brown potatoes. 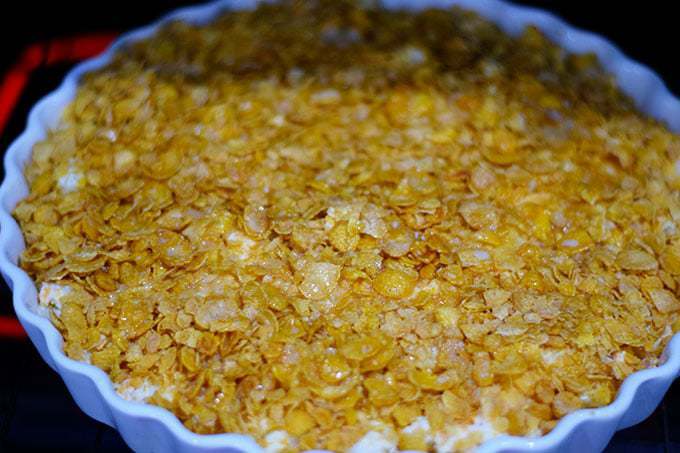 In another bowl crush corn flakes and mix with melted butter. I just crush them by hand lightly. Pour potato mixture into 9 x 13 baking dish. 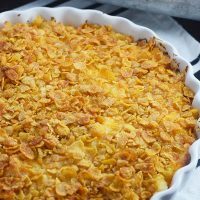 Top with buttered corn flakes. Bake for 30 to 45 minutes until bubbly and topping is golden brown. You will find this over on Weekend Potluck and Meal Plan Monday! Head on over and check them out!